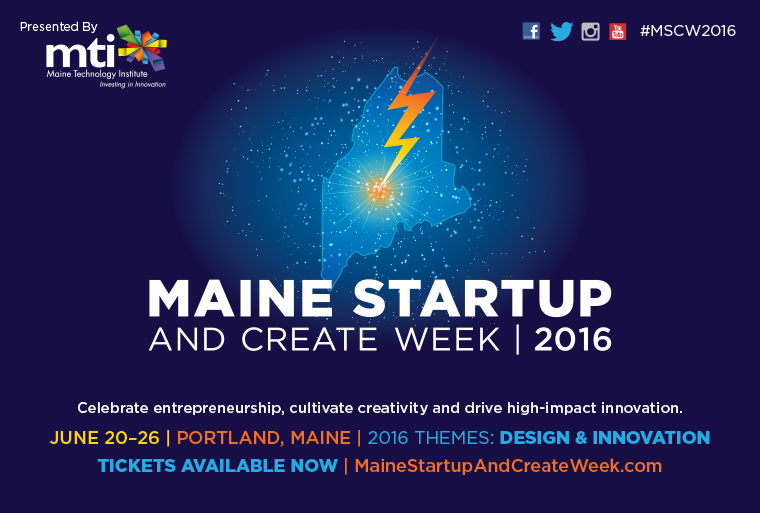 For the 2016 Maine Startup and Create Week event, Visible Logic took the lead on the web site and email marketing. 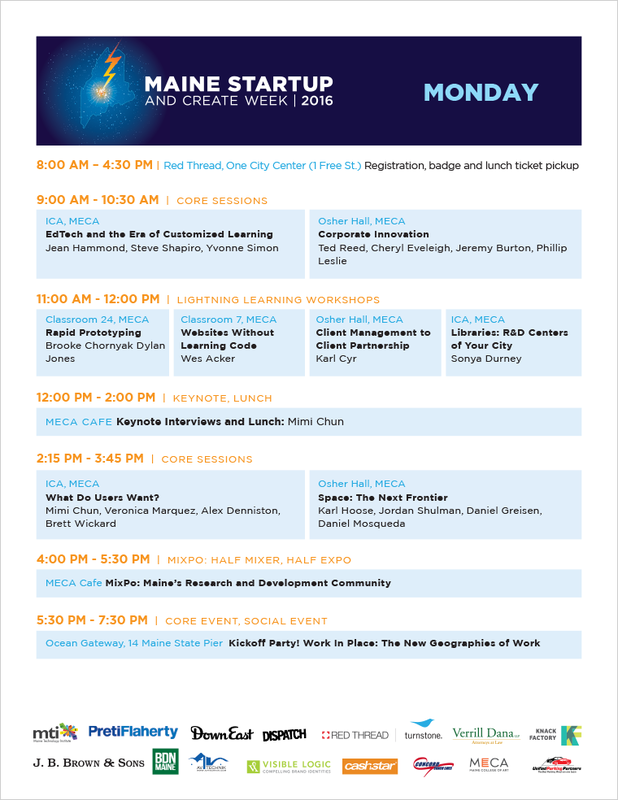 Additionally, we created PDF schedules that attendees could download and print at home and printed schedules to place inside event badges. Leading up to the event, we also created printed ads to help promote the event.